Should you hire a Certified Property Manager? Or someone who is offering the services of a property management firm? Many people every day are trying to figure this out. It usually comes down to what the services are going to cost. What you actually get for the money you are going to pay this Certified Property Manager. Consumers do want to hire professionals and they want to hire people who are honest and will not rip them off. After all you are asking a stranger to look after your home, one of your most prized possessions. What does it mean when you have hired a certified property manager? Usually it means they have attended some courses on property management at a local college, hopefully received a diploma from that college and they belong to an association of property managers. Some people reading this may react and say well so what. It does not mean they have the experience to manage a property and they may not even be able to do a good job. Should you look for a certified property manager or for a company that has lot’s of experience with certified property managers working for them. We happen to think that you should hire someone who has both. Having been on the board of several condominiums and having dealt with many property managers, we have found like all industries there are some good ones and then there are those that really will never do a good job. We even had one company who paid us lip service, said they would do everything we asked and then did absolutely nothing at all. We had to fire that company and it was a difficult time for all concerned, since you then must hire a new property management firm, transfer all of the records over and then get to know your new company. All of this must be accomplished in a less than friendly environment with the old company that you were dealing with. Always hire a property management company with experience and one that operates in a professional manner. Look closely at the fees and also the services you receive for these fee’s. Do you get the reports that you need to not only manage the condo or apartment building properly, but to also manage the property manager and assess the job they are doing? You should also make sure that they have a certified property manager on staff so that in addition to experience, they are also up to date on the latest property management laws and consumer rights. 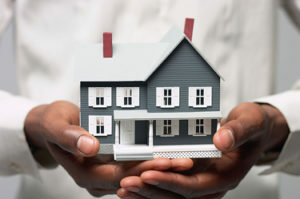 Many states and provinces have consumer rights in place to protect the renter. You do not want to run up against some bureaucrat with unlimited resources who tells you to rescind a rent increase for example that you need to run your business. Training is always good and it is important to have. However as with all training until you get out in the real world and face some of the issues that consumers throw at you, no amount of training can really help. Training may prepare you for what to expect, however it cannot tell you what to do in every situation. There are just too many variables and that is also why you must also get experienced property managers as well to manage your home, your condo or your apartment building. Comments are welcome, especially regarding any experiences you may have had in the property management field that may assist our readers. Build a requirements list and match various property management companies against this set of requirements. Interview several and make up your mind based on the facts and not how well you may have gotten along with the representative. Sales is easy, doing the actual work is more difficult and you will need to be working with the people who actually do the work. this is a great informational post about hiring certified property managers. we look forward to more information on this topic.